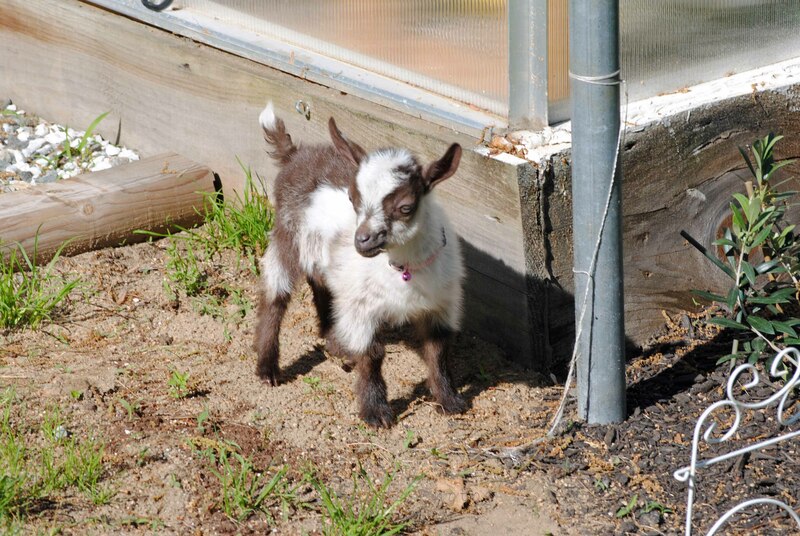 Remember Thumbelina, the little pygmy baby goat? I found another picture of the cute thing. Look how little she is next to the boards in the garden shed!